Located in the heart of downtown San Jose, this convention center capacity hotel includes 506 guest rooms, a full service restaurant and bar, a dine-in or take-out café, meeting rooms, ballrooms and a fitness center. The San Jose Marriott is directly connected to the San Jose McEnery Convention Center and offers 21,000 square feet of superbly designed event space. The hotel’s meeting space in downtown San Jose, CA, offers Marriott-quality service, the latest in meeting and presentation technology, wireless internet, and a conference staff rated second to none, providing the ultimate facility for world-class conventions. Conveniently located in the heart of Silicon Valley, the hotel is just three miles from San Jose International Airport. 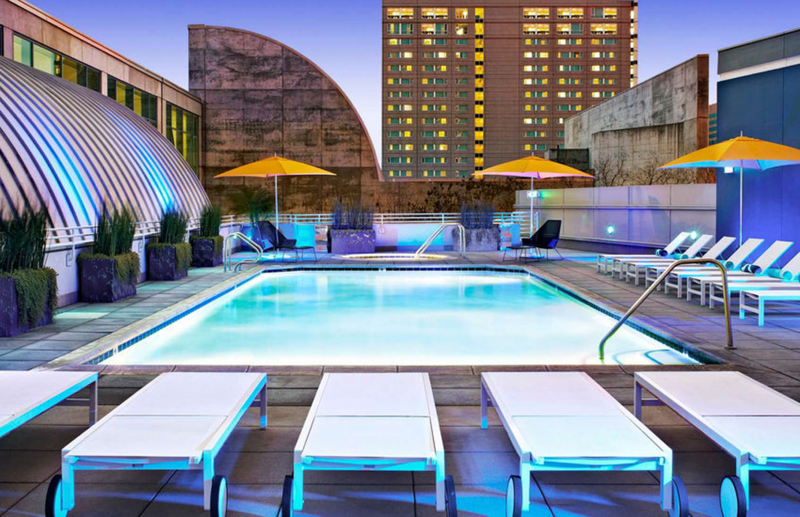 This world-class downtown San Jose hotel’s long list of amenities also includes easy access to all three of the Bay Area’s major airports, San Jose’s famous climate, an abundance of area attractions, and a celebrity chef’s signature restaurant, Arcadia. The San Jose City Center Marriott is a post tension high-rise on a tight urban site. The hotel was delivered on schedule and on budget.